Barrel: 4150V Chrome Moly steel barrel chambered in 5.56 NATO with a 1:7 twist rate, M4 barrel extension, and a carbine-length gas system. 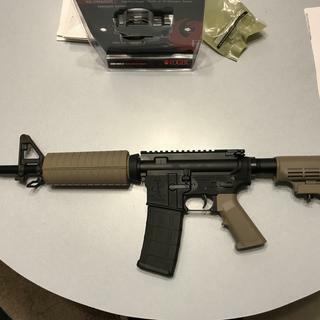 The barrel is finished off with a standard carbine flat dark earth handguard, F-Marked gas sight base, and A2 flash hider. Upper: Forged 7075-T6 A3 AR upper is machined to MIL-SPECS and hard coat anodized, features a forged upper receiver. These uppers are made for us right here in the USA by a mil-spec manufacturer. Comes with PSA logo. 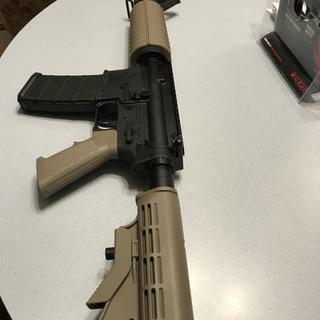 Lower Build Kit: Includes Classic Flat Dark Earth M4-Style Stock, Flat Dark Earth A2 Pistol grip, Classic Lower Parts Kit and Mil-Spec diameter 6-position buffer tube assembly. Everything you need to finish your stripped lower! If I buy this kit does it come with everything besides the stripped lower? BEST ANSWER: Everything except a rear sight, lower, and mag. You WONT get any assembly instructions!!!!!!!!!!!!!!!!!!!! You will have to hunt somewhere to find any,time consuming!!!!! Where did you get assembly instructions???? Yes it does. Everything you need for it to be a fully functional ar-15. It's your option on the sight system, being mechanical or optical. Yes it does. Like the above answer, I just bought a flip-up sight for the rear and I am good to go. No rear sight, other than that it just needs a stripped lower. Does the kit come with all parts to build a working carbine? Does it include instructions on putting everything together? BEST ANSWER: You would still need a stripped lower receiver and a magazine. I can't say if there are instructions, but basically you would be assembling the parts on the lower receiver, buttstock and grip. The upper is complete so you would just attach to the upper with the takedown and pivot pins. I suggest you google to see what's involved to make sure you have the necessary equipment. It's not hard, but if it's your first build, just take your time. "The upper is complete so you would just attach to the assembled lower with the takedown and pivot pins." Can this be shipped to my home ? BEST ANSWER: If your state has restrictions PSA may not be able to ship ship. If you go through the purchase process and it doesn't allow you to send to your home it may have you send to an FFL or not at all. PSA Customer Service is very good with this type of information. I live in 'KALIFORNISTAN' and PSA is very up to date on individual state laws. Good Luck. No, it has to be shipped to my house. can this kit ship to new jersey? BEST ANSWER: It has been common for magazine to seat tightly if they are filled to full capacity, try loading with 1 less round than max. It can also be an issue of to type of magazine. Usually polymers are a little tighter fit. It could also be with material lower is made from. Does this come with a magazine? Can this item be shipped to California for the 2019? what rear sight is recommended? Do the flip ups work well with the front sight on the gun? BEST ANSWER: What is YOUR preference?, as long as it's of decent mfg and fits your needs, that's what I would recommend for you. Flip ups work great with this kit and FSB config. It's a standard AR15 front sight, so any AR 15 rear sight will work, either flip up or carry handle. It will also work with scope or red dot. It is a F-marked front site post so flip up sights will work with this post. Is the handguard the standard 7 inches? Is this a complete set or just an upper? BEST ANSWER: It is a complete kit. 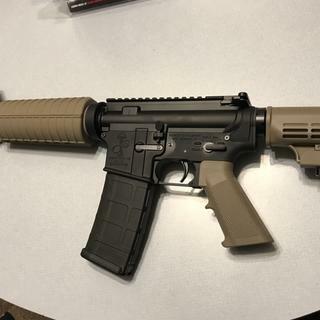 Just add a striped lower and you have a good entry level rifle. Everything but a striped lower receiver and rear site. 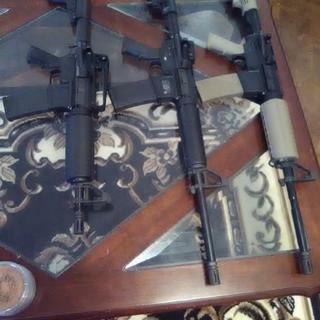 It's a complete set minus the lower receiver. its all there you just need a lower. This is everything but the lower. Does this kit come with the rear flip up sight? No... you will need to purchase a rear sight for this kit. No this kit does not include the rear flip up sight. No. I bought a dot scope. Does just fine. Has anyone had trouble with inserting a loaded magazine? Sometimes I have to exert more than nornal force to get a loaded magazine to seat. BEST ANSWER: sounds like a lower problem,are you using plastic mags or metal , metal seems to work the best , hope this info helps out. It has been my experience that some manufacturers of magazines are filled to maximum capacity they are difficult to fully seat with a closed bolt. If they seat easily with an open or locked back bcg, then try removing one round from the mag and try that. 10-20 rounds in a 30 round mag. Anderson lower. 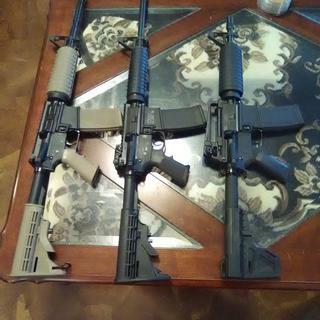 Military aluminum, Palmetto steel, and P mags all do the same. No, might give the magazine a good look over and compare it to another magazine. Never had any issues loading it into the lower receiver. Also, try to narrow down the issue, does the same magazine load properly when it is unloaded? Are you using metal magazines or Pmag type plastic magazines? Try cleaning out the magazine well with steel wool saturated in CLP. Also if you are using metal magazines, check the edges of them for burrs. if you haven't already, download your magazine by 2 rounds. 28 rounds in a 30 round magazine. have not had any problems, have you tried adjusting the mag release? What type of magazine do you use? Where would i buy the stripped lower? BEST ANSWER: There are a number of online companies who sell them but you have to have them shipped to a FFL holder since they are the serial numbered part. Check with your local gun shop. Many of them will either carry the lowers or will do the transfer, usually for a fee. You can buy several different stripped lowers from PSA. They do require that they are sent through a FFL. The stripped lowers are treated the same as any rifle purchase. Stripped lowers do have a serial number attached to them. I would recommend PSA. If you are too far away or don't want to pay a transfer fee you should be able to buy one at a local gun store. I bought mine at a local gun store. 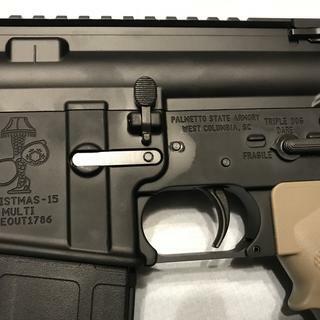 Would your Christmas stripped lower work well with this kit? Yes. The only thing needed to complete this kit is the lower. Yes, no problems and I used an Anderson lower. Great kit. Is this the complete gun do I have to buy anything else ? BEST ANSWER: You will need to purchase a Lower, which is the part that accepts the magazine. You would of course need to purchase magazines and ammunition and any accessories. The Lower is the part that has the serial number which requires the NICS check. I purchased mine locally and the entire assembly took about 4 hours. Excellent kit. You will also need a stripped lower and it also needs either a rear sight or an optic. Yes it's all there assuming you have the lower portion to install it on. All you need is a stripped lower and you have a complete gun. you need a stripped lower reciever. Does the lower build kit come with an extra detent and spring? just the ones needed for front and rear. Be careful as they can be a real pain if they pop out and you have to find them. My kit did not, I always buy extra springs and pins just in case. Can .223 be fired out of this rifle? Yes .223 can be fired out of any 5.56 however 5.56 can only be fired out of 223 wylde or 556. I show .223 most of the time due to the cost difference. Yes you can. I have a 223/556 lower that I used with this kit. Is this semi or auto? BEST ANSWER: This kit as it comes is non-firing. It requires a lower receiver. The trigger components of the lower receiver would determine the firing modes available. So to answer your question in the way I think you intended... yes, in nearly all circumstances this kit would be completed as a semi-automatic rifle. 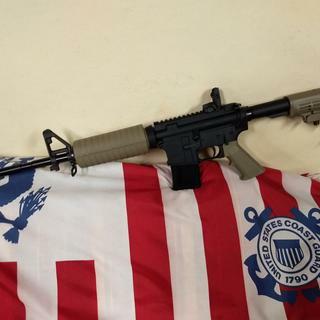 Semi only, There are no ar-15 kits on the market with FA FCG already included. 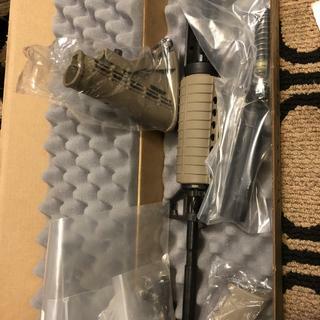 Will this fit an AM 15 striped lower? 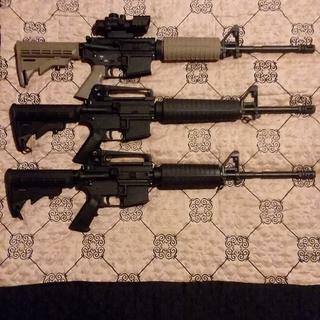 BEST ANSWER: I've used AR15 gun kits from PSA for a few stripped lowers that were other than PSA. Given that the AR15 platform is a MilSpec platform, any stripped lower should work fine. All of the builds that I've done with PSA components have matched up perfectly with the stripped lowers from other manufacturers. I've never been disappointed with what PSA has sent me. What I just wrote doesn't necessarily apply to the AR10 platform. Yes definitely, I have built several PSA Carbine Classics on an Anderson AM-15 lower. The LPK included fits great and the upper settles perfectly on the AM-15 lower. If it is mil spec, yes. If not get one from PMA. I did and it works fine. It should fit and function perfectly. What optic/iron would fit this best? BEST ANSWER: I use a magpul Mbus rear sight. But you can mount any optic and it will either co witness with the front sight post or it will see past/through the front sight post because the objective lense is so close. I have a fixed 10x40 bushnell scope on mine with no issues. 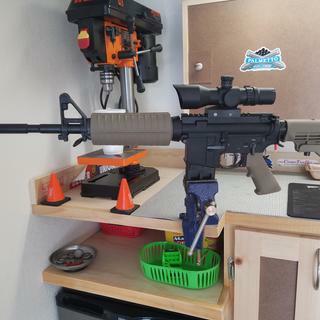 Isaac, I used a military flip up sight on my M4 and later installed a Aimpoint red dot. still have both sight on the rifle in case something happens to one I have a backup. 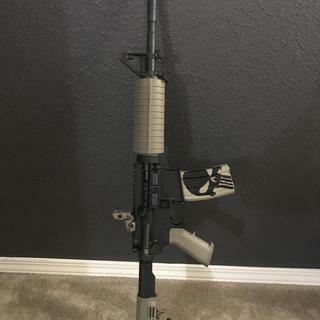 Isaac, I installed a military style flip up on my m4. and later installed an Aimpoint red dot, still have the flip up for back a back up sight. Standard picatinny or weaver rail system attachments. Will this work with a 5D tactical lower? BEST ANSWER: As long as your receiver is compatible with mill spec. Refer to your receiver specs. If it is a mil-spec lower it will work. I used a 5d 80% lower. 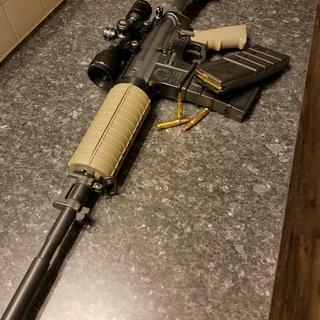 Is there a way to put a rail on the bottom of the gun for a flashlight/fore grip? Yes, just buy a picatinny rail segment, attach it to the handguard, then attach your prefered foregrip to that. How difficult is it to change out standard hand guard for a free float say an M-LOK? BEST ANSWER: That really depends on your skill level, mechanical and thinking abilities as well as what tools you have available. For me, i have done it SEVERAL HUNDRED times, so its very easy, 5min. For you ? Only you can answer that. Tom, getting the hand guard off isn't difficult at all. But keep in mind that it has the high fixed front post site so you'd have to get a rail that is short enough. I was planning on a low profile gas block and a flip up front sight so that shouldn’t be a problem if I want to throw all that extra at it. Does this kit have heat shields in the forearm pieces? If it has shields, are the shields single or double, top and bottom? BEST ANSWER: Yes they have the heat shields. Both top and bottom. Single layer each. yes it does and there two pieces on in the top and one in the bottom. 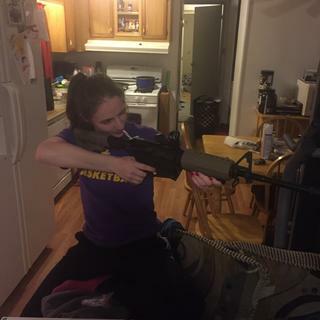 Can you remove the front iron sight? BEST ANSWER: You can, however it contains the front gas block, and the plate behind it retains the front of the hand guard. Also the muzzle device will need to come off (you could grind the factory sight in half to remove but would still need to remove flash hider to nstall a new gas block). Alternatively, you can simply cut the sight down below the line of sight if you are worried about co-witness on a low mounted scope. Can I mount a bi-pod to this hand guard? BEST ANSWER: Not to the hand guard. 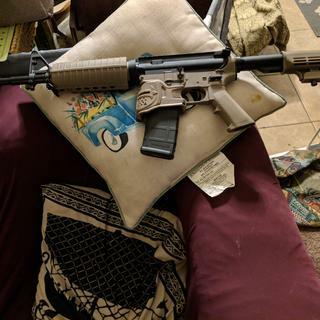 There is no rail on the top or bottom of this hand guard. You could mount a bi-pod that clamps onto the barrel as an option. No, rail hand guards would be the option to go. Is the muzzle pinned and welded? BEST ANSWER: No... it is installed with a crush washer and properly indexed. It can be easily removed with a crescent wrench if the receiver group is properly braced. Will the front site interfere with Red Dot sight? the dot will be right on top off the front sight post when aligned correctly. As long as the dot sight is the same height as a rear back up sight. Is the gas block adjustable? BEST ANSWER: No it is fixed. But a great gun. Shipping was fast! I used a Ruger lower, runs great, looks good, love the feel of it. Question- How about free shipping for patches? $ 6 to ship a patch? Love this rifle! Operates perfectly, feels good, looks great! Thank you PSA! Great price for kit. Looks and shoots great. Upgraded trigger and it’s a shooting machine. Probably the best AR I've built so far. Dang sure a lot cheaper. Shoots really good. I put a Sig Sauer Romeo red dot on it. Item is as described in the listing. Items arrived promptly and in good order. I have not had the opportunity to fire any rounds through it at this time so the accuracy of the barrel is still undetermined. This company deserves more stars, the kit was great and hard to believe the price free ship thank you palmeto love u guys, I strongly recommend this site I’m no robot, just a plane Jane man saying I’m happy, great place to buy from I can’t say that for most. Unbelievable what you are getting for the money. There is no reason why anyone who wants an AR shouldn't have one at this price! I will be a repeat customer! These are awesome rifle kits and at great prices,are perfect for beginners like me. Best Bang for your Dollar!! Great starter kit everything comes nicely packaged clean and ready to be assembled, purchased a stripped lower assembled the kit in 30 minuets. shipping wasn’t the fastest but with free shipping can’t complain too much. I would recommend this product to friends and family, good job PSA!! This is a great kit, everything in it is well built. I used a PSA stripped lower for my build and everything fit nicely together. Excellent gun for the money. It’s been shot a lot with no malfunctions! Paired this kit with a PSA Christmas stripped lower. Couple hundred rounds through it today and no problems. Well worth the money. Nice kit. Item delivered in a timely manner. Arrived as described and performed as expected. Put 100 rounds through gun with no malfunctions. A great rifle kit for a first time beginner. Very nice weapon! I took my time assembling it on an Anderson receiver. I added a Magpul pop up rear sight and I have a reflex red dot sight for it also. This was my first build, it was a great kit for a beginner with everything needed in one box. Excellent quality for the price. I recommend this product. Plan on getting more kits to build. Good quality and nice platform to work with. I purchased this as a project to see if it works. I have to say that it was pretty much as advertised. Just take your time and follow the instructions carefully, don't rush it. I will be back again for more kits. Great fit to my Aero Precision lower. Looks good, not too cheap feeling. Furniture is sturdy and fits well. After about 1000 rds, not a single FTF or FTE. Great buy if you’re looking for an inexpensive upper. My only complaint is that it kicks like a mule, especially with NATO and hot rds. This was my first AR build kit. Everything worked well with the kit. I looked at a video from Palmetto State Armory about how to build the kit. I would highly recommend this kit. This was a great project for me and my son together. Great rifle kit at a good price !! Got the rifle kit fast. Put it on an 80% lower I milled out (1st one). Ran a 30rd mag through it 1/2 brass and 1/2 steel cased ammo. It worked great. Brass landed about 3 o’clock and steel was about 5 o’clock. Good primer strikes and no dents in cases. I’m getting another soon. Great kit at the best price didn't have any problem love it thank you psa. Great looking, easy to assemble. Add lower and about 4 hours and wham-o, you've got a nice AR. Perfect kit. This is the second one I've purchased from PSA. Never had a problem with either one and never had one malfunction either. PSA is the best, high quality and best prices. 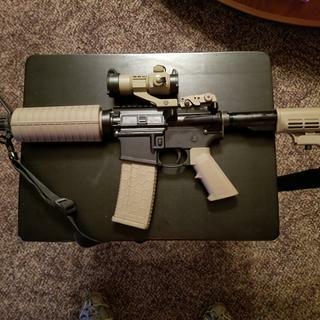 Great AR kit, owning an AR couldn't be easier. I have purchased 6 of these kits with palmetto stripped lowers and absolutely love putting these kits together, never have had an issue with assembly, and these rifles shoot great! And with a great value as well. 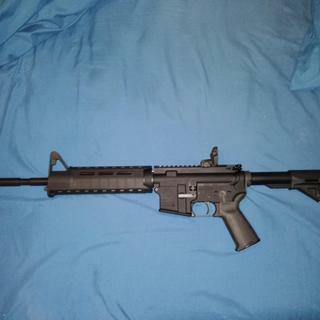 Love my new rifle. 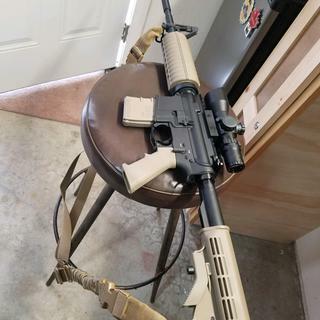 I have owned a few AR's in the past, and this one feels much better than the ones I have owned before. Finish is perfect, very easy to put together even though it was my first build. This is a perfect price point and quality for new owners and people new to building. All pieces included with extra springs, and worked well at the range. Very impressed! Good quality rifle. Everything went together smooth. This is a great first gun build, or perfect for a truck gun. The bolt carrier finish was comparable to 120 grit sandpaper. Must have been made on Friday at the end of the shift. Otherwise everything was good quality, and cycled well. I've bought several kits from you guys, and this is the only one that was less than top notch. I haven't completed the build yet, but from looking at the parts in detail everything looks great. 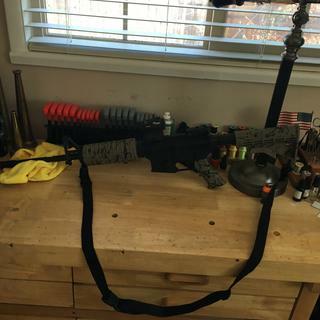 With this and a PSA stripped lower you can do a good beginners build for under $400.00. I finally got to go to the range and it worked like a charm. No issues at all. It looks awesome and I love it!! Can’t wait to put together another one. Great stuff for a good price. Went together on a 80% lower without a hitch. I have 150 rounds through it without any issues. Really liked the quality of this kit. Lower parts were individually pack and springs are a better quality than kits I’ve bought from other companies. Really satisfied with kit. 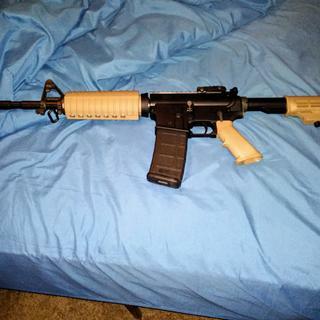 Would have gave it 5 stars, but the plastic handguard had a crack in it where the Delta Ring sits. 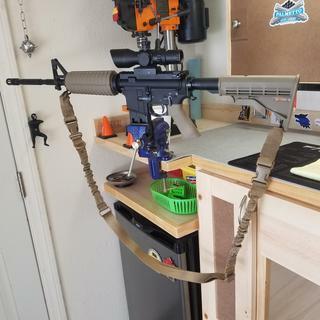 Put a magpul on it, and went from there. Nice set as always.